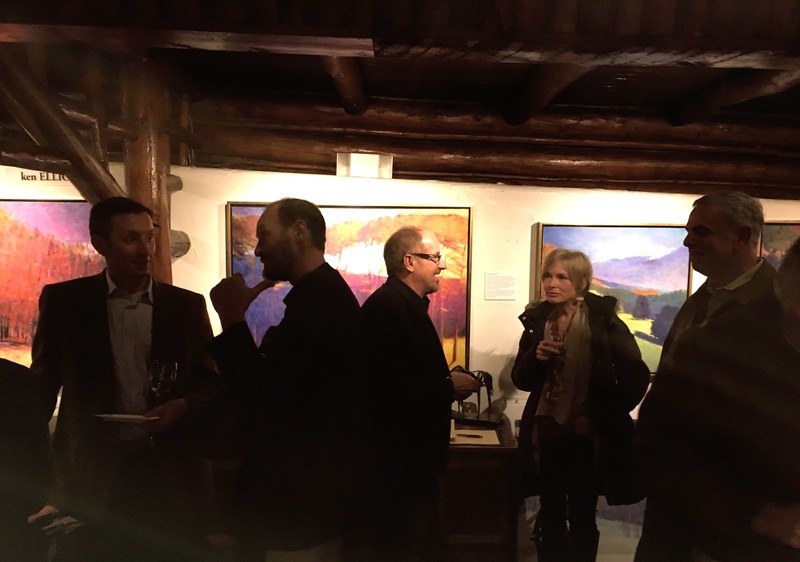 It was a big crowd for the Annual Gallery Anniversary and Holiday Reception at Mirada Fine Art in the foothills just west of Denver. This is an amazing gallery in what was formerly a log cabin trading post. All of the gallery artists were exhibiting and you can see a number of my oils behind the patrons here. Note the log ceiling in the photo. The gallery owner, Steve Sonnen is in the center wearing glasses.